The dreaded high bounce rate. It makes the shoulders of online marketers tense up, and causes their foreheads to wrinkle up with concern. Wait, What’s Bounce Rate Again? As a refresher, bounce rate refers to the percentage of visitors that leave your website (or “bounce” back to the search results or referring website) after viewing only one page on your site. Before you start worrying, consider that “high” is a relative term. 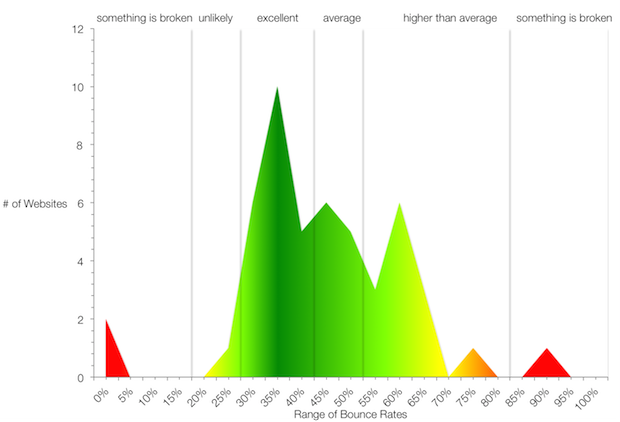 According to a RocketFuel study, most websites will see bounce rates between 26% to 70%. The overall bounce rate for your site will live in the Audience Overview tab of Google Analytics. You can find your bounce rate for individual channels and pages in the behavior column of most views in Google Analytics. 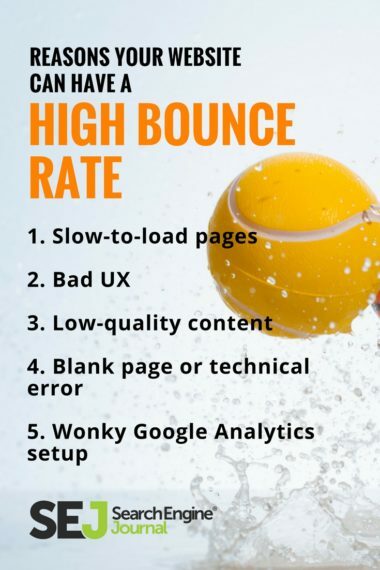 There are a number of reasons your website can have a high bounce rate. Let’s review ten common ones and how to fix them. Google has long indicated that site speed is included in their ranking algorithm, so as a good SEO you should be focused on it anyway. 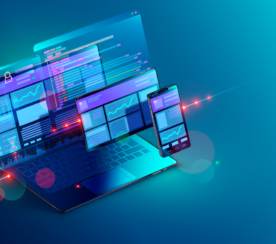 Google wants to promote content that provides a positive experience for users, and they recognize that a slow site provides a poor experience. If your page takes longer than a few seconds to load, your visitors may get fed up and leave. Fixing site speed is a lifelong journey for most SEOs and webmasters, but the upside is that with each incremental fix, you should see an incremental boost in speed. Review your page speed (overall and for individual pages) using tools like Google PageSpeed Insights, Pingdom, and GTMetrix. 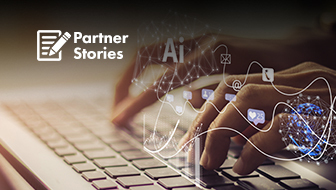 They’ll offer you recommendations specific to your site, such as compressing your images, reducing third-party scripts, and leveraging browser caching. In some cases, the user will get everything they were looking for from the page on your site. 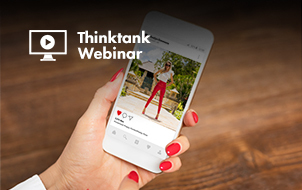 This can be a wonderful thing—perhaps you’ve achieved the content marketer’s dream and created the kind of 10X content that wholly consumed them for a handful of minutes in their lives! Or perhaps you have a landing page that only requires the user to complete a short lead form. To determine whether bounce rate is nothing to worry about, you’ll want to look at the Time Spent on Page and Average Session Duration metrics in Google Analytics. If the user is spending a couple of minutes or more on the page, that sends a positive signal to Google that they found your page highly relevant to their search query. If you want to rank for that particular search query, that kind of user intent is gold. 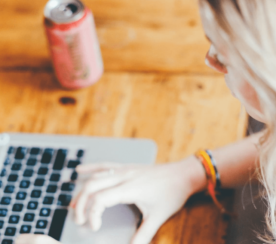 If the user is spending less than a minute on the page (which may be the case of a properly optimized landing page with a quick-hit CTA form), consider enticing the reader to read some of your related blog posts after filling out the form. If we expand on the example from the previous section, you may have a few pages on your site that are contributing disproportionally to the overall bounce rate for your site. Google is savvy at recognizing the difference between these. So if your single CTA landing pages reasonably satisfy user intent and cause them to bounce quickly after taking action, but your longer-form content pages have a lower bounce rate, you’re probably good to go. 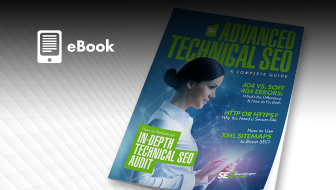 However, you will want to dig in and confirm that this is the case or discover if some of these pages with a higher bounce rate shouldn’t be causing users to leave en masse. 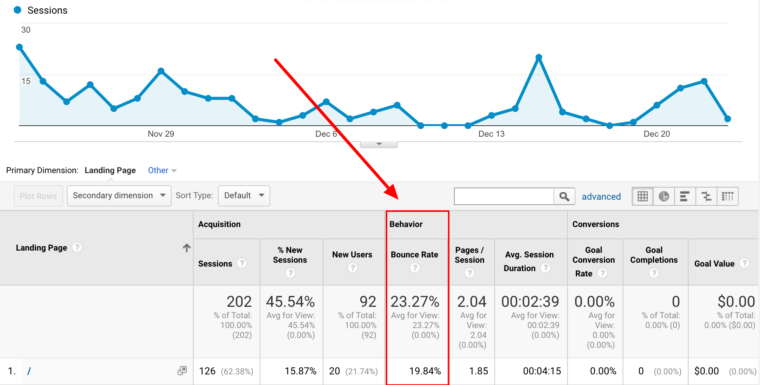 Open up Google Analytics, go to Behavior > Site Content > Landing Pages, and sort by Bounce Rate. Consider adding an advanced filter to remove pages that might skew the results. For example, it’s not necessarily helpful to agonize over the one Twitter share with 5 visits that has all your social UTM parameters tacked onto the end of the URL. My rule of thumb is to determine a minimum threshold of volume that is significant for the page. Choose what makes sense for your site, whether it’s 100 visits or 1,000 visits, then click on Advanced and filter for Sessions greater than that. Ask yourself: Is the content of your page accurately summarized by your title tag and meta description? If not, visitors may enter your site thinking your content is about one thing, only to find that it isn’t, and then bounce back to whence they came. Whether it was an innocent mistake or you were trying to game the system by optimizing for keyword clickbait (shame on you! ), this is, fortunately, simple enough to fix. Either review the content of your page and adjust the title tag and meta description accordingly or rewrite the content to address the search queries you really want to attract visitors for. If your bounce rate is exceptionally high and you see that people are spending less than a few seconds on the page, it’s likely your page is blank, returning a 404, or otherwise not loading properly. Take a look at the page from your audience’s most popular browser and device configurations (e.g. Safari on desktop and mobile, Chrome on mobile, etc.) to replicate their experience. 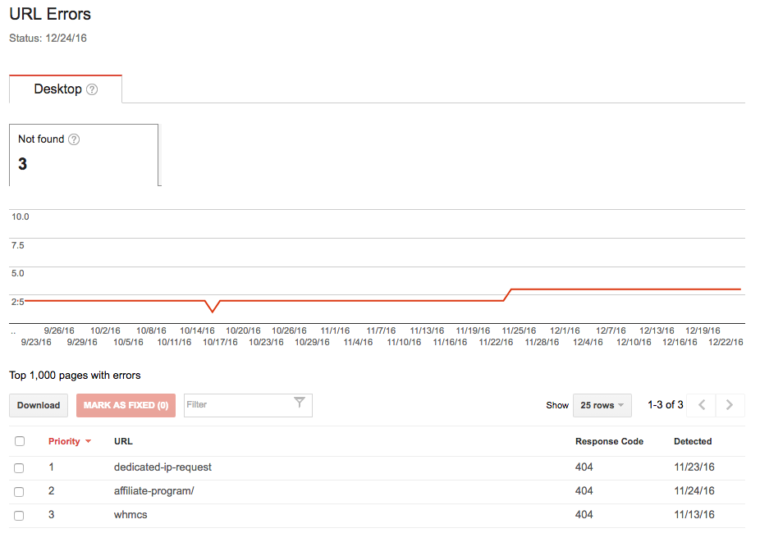 You can also check in Search Console under Crawl > Crawl Errors to discover the issue from Google’s perspective. Correct the issue yourself or talk to someone who can—an issue like this can cause Google to drop your page from the search results in a hurry. 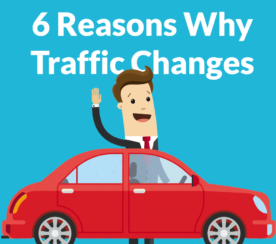 It’s possible you could be doing everything perfect on your end to achieve a normal or low bounce rate from organic search results, and still have a high bounce rate from your referral traffic. The referring site could be sending you unqualified visitors or the anchor text and context for the link could be misleading. Sometimes this is a result of sloppy copywriting. The writer or publisher linked to your site in the wrong part of the copy, or didn’t mean to link to your site at all. Start by reaching out to the author of the article, then the editor or webmaster if the author doesn’t have the ability to update post-publish. Plead your case and politely ask them to remove the link to your site or update the context, whichever makes sense. Pro tip: you can easily find their contact information with this awesome guide by Joshua Daniels. Unfortunately, the referring website may be trying to sabotage you with some blackhat SEO tactics, out of spite or just for fun. For example, they may have linked to your Guide to Adopting a Puppy with the anchor text of FREE GET RICH QUICK SCHEME. You should still reach out and politely ask them to remove the link, but if needed, you’ll want to update your disavow file in Search Console. Disavowing the link won’t reduce your bounce rate, but it will tell Google not to take that site’s backlink into account when it comes to determining the quality and relevance of your site. If you’re an affiliate, the whole point of your page may be to deliberately send people away from your website to the merchant’s site. 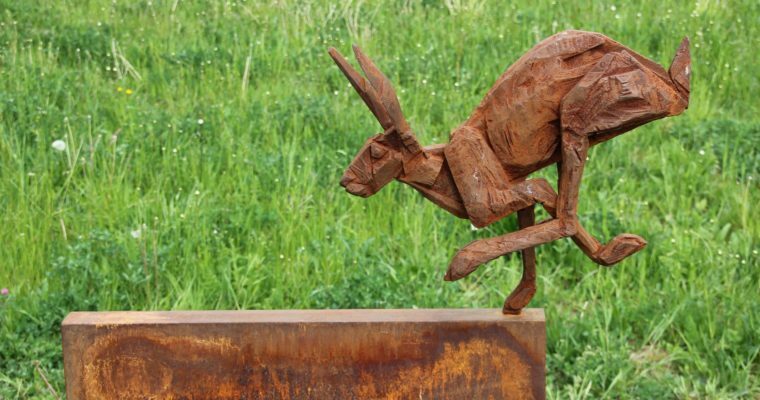 In these instances, you’re doing the job right if the page has a higher bounce rate. A similar scenario would be if you have a single page website, such as a landing page for your ebook or a simple portfolio site. It’s common for sites like these to have a very high bounce rate since there’s nowhere else to go. Remember that Google can usually tell when a website is doing a good job satisfying user intent even if the user’s query is answered super quickly (sites like WhatIsMyScreenResolution.com come to mind). If you’re interested, you can adjust your bounce rate so it makes more sense for the goals of your website. To be frank, visitors may be bouncing from your website because your content is just plain bad. Take a long, hard look at your page and have your most judgmental and honest colleague or friend review it (ideally, this person either has a background in content marketing or copywriting, or they fall into your target audience). One possibility is that your content is great, but you just haven’t optimized it for online reading. Are you writing in simple sentences (think high school students vs PhDs)? Is it easily scannable with lots of headers? Have you included images to break up the copy and make it easy on the eyes? Writing for the web is different than writing for written publications. Brush up your online copywriting skills with these formatting tips from Neil Patel. The other possibility is that your content is poorly written overall or simply isn’t something your audience cares about. Consider hiring a freelance copywriter or content strategist who can help you revamp your ideas into powerful content that converts. 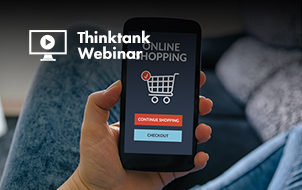 Are you bombarding people with ads, pop-up surveys, and email subscribe buttons? CTA-heavy features like these may be irresistible to the marketing and sales team, but using too many of them can make a visitor run for the hills. Is your site confusing to navigate? Perhaps your visitors are looking to explore more, but your blog is missing a search box or the menu items are difficult to click on a smartphone. As online marketers, we know our websites in and out. It’s easy to forget that what seems intuitive to us is anything but to our audience. Make sure you’re avoiding these common design mistakes, and have a web or UX designer review the site and let you know if anything pops out to them as problematic. Finally, it’s possible that you haven’t properly implemented Google Analytics and added the tracking codes to all the pages on your site. Google explains how to fix that here. 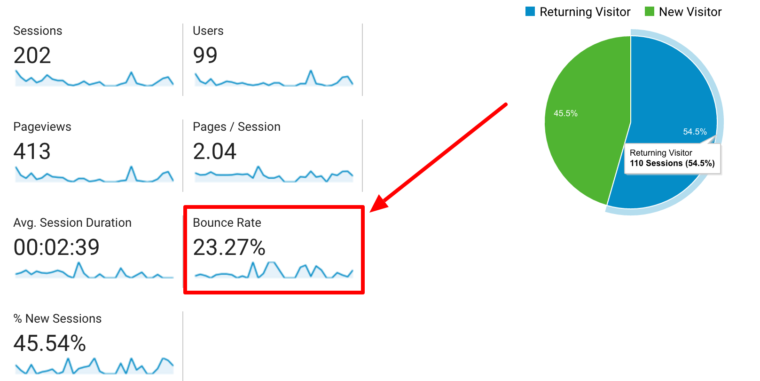 Hopefully, this article has helped you diagnose what’s causing your high bounce rate, and you have a good idea how to fix it. Now get to it! Screenshots by Amelia Willson. Taken December 2016.